27. 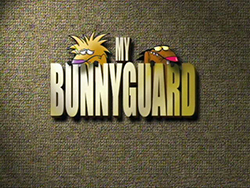 Season 3, Ep 1: My BunnyGuard / What's Eating You? 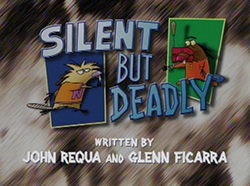 Daggett decides to be Big Rabbit's friend since he is feared, and attempts to use him as his personal body guard. All is well until Big Rabbit wants to cash in on the friendship promise and turns Dag into a "beaver football." 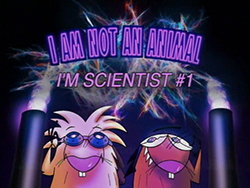 Daggett and Norbert are in a cave with Stump for some harmless "spaylunking." Dag gets hungry and his growling stomach causes the tunnel to cave in, blocking the exit. Trapped inside the mine with no exit and no food, Daggett tries to eat Stump. 28. 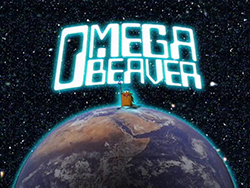 Season 3, Ep 2: Omega Beaver / Bite This! Daggett gets taken in by EC comics books' "The Konspiracy Komiks Presents: The Attack of the Howler Leeches" and sends away for the Konspiracy Kevin head doll. 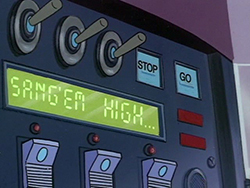 When Dag pulls the string, the head warns him that all animals will be attacked by the Alien Howler Leeches. 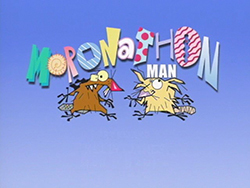 He panics while Norbert thinks he's been scammed. Dag persists in his paranoia, so Norb recruits Big Rabbit, Barry the Bear, and Truckie to justify his fears. Norb wrestles with bed biting, the common beaver childhood problem of chewing while asleep. While Dag maintains it's no big thing, cool guy Norb has a tough time dealing with it. 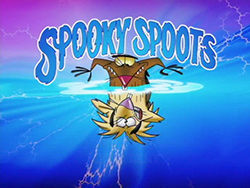 The Beavers' dam is haunted, and they like it that way, having fun with their ghostly visitors. Unfortunately, our goofy scientists are now paranormal researchers and in their typical blind way act on the assumption that all ghosts are bad. 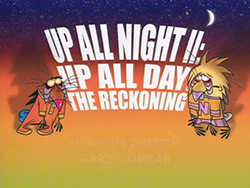 The Reckoning: Norbert and Daggett pick up where they left off from their first "Up All Night" adventure to find that they have been up so long that they are years into the future. When they attempt to go to sleep, they discover that they're too tired to sleep and the mayhem begins all over again. Dag's intrepid superhero alter ego returns. 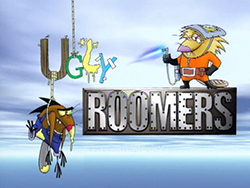 This time a snowboarding Tree flower is roped in as his new sidekick, Goody Good Gal, when he once again faces his old nemesis Baron Bad Beaver (a.k.a. Norb). Dag concedes that he can't win an argument against Norb. Dejected at the pond, he stumbles upon Laverta Lutz, the "magical, mystical, Lady of the Lanes." Laverta grants Daggett a wish. His wish is to leave Norbert speechless in an argument. 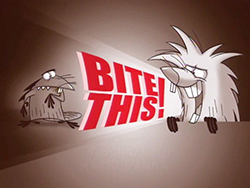 Laverta tells Daggett that "the argument is not over until the fat beaver sings." Not knowing exactly what that means, Dag rushes back to the dam to battle it out with Norb. Just as he had wished, he leaves Norbert speechless when in the throws of battle, Dag turns into a fat, over-sized beaver who sings his arguments like a professional lounge singer. 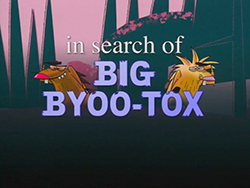 Unsneaky Dag enlists the help of a big hairy guy he thinks is the elusive creature, Big Byoo-Tox, to teach him his stealthy ways so he can take a toy away from his brother Norb. When the scientist's neon-red "stupidity potion" ends up in the forest pond, all the animals begin to behave like idiots, including Norbert. 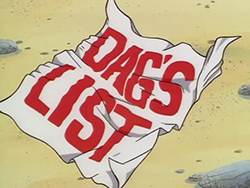 Dag is the only animal who doesn't drink the potion and thus thinks that he has been left out of a new and exciting game. Not to be outdone, Daggett deliberately drinks the "stupidity potion," but finds out that he's immune to it. This turns out to be a good thing for the scientist and creatures of the forest, as Dag's belches become an antidote for the potion. 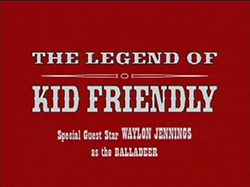 Norb drags Dag, who doesn't want to go, to a western theme park based around the legendary Kid Friendly, the grinning gunslinger who "kills ya with kindness" and folksy humor. When the Kid Friendly robot goes berserk, all that stands between Norb and a grinning demise is Dag's bad attitude. The great El Grapadura is wrestling and Norbert and Daggett can't wait to go. But before they can make it to the match they are delayed by Bing who has been kicked out by his girlfriend Wanda. 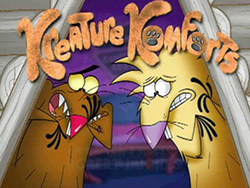 Norbert consoles a weeping Bing while he gives Daggett the task of bringing Wanda back to her love. 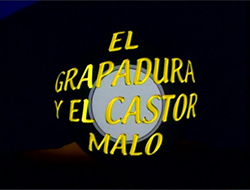 Daggett mistakes an alligator for Wanda and almost becomes dinner until El Grapadura comes to the rescue. 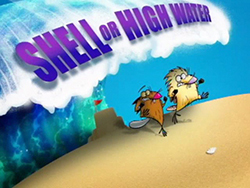 When Dag and Norb receive an unexpected visit from their dad, the Beavers' dam and lives are turned upside down. 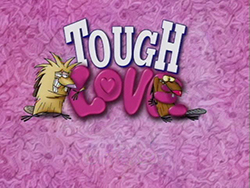 Together, Dag and Norb try to figure out a way to get Dad to reconcile with Mom, so that they can have fun again. In a Beaver version of "Are You Afraid Of The Dark" Norb, Dag and all their pals (Treeflower, Truckee, Barry the Bear, Bing and Stump) tell a campfire story which is on the on the verge of outrageous. 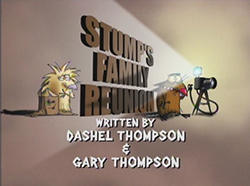 Daggett and Norbert accompany Stump to his family reunion because Stump is a bit leery about meeting his woody kinfolk. Norb warns Dag not to embarrass him like he usually does. 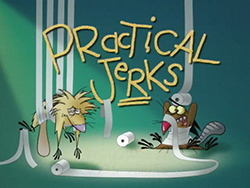 However, Norb gets a headache which causes him to become delirious and ends embarrassing Daggett in front of Stump's family, who aren't too happy about two wood-eating creatures being at their reunion. 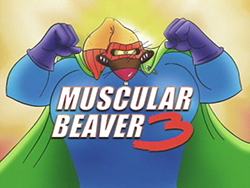 Daggett becomes Muscular Beaver yet again, and this time he's in the clutches of "Toe-Bot". Norb's planning a big party, but he reluctantly becomes Baron "Once-Bad-Then-Good-Then-Bad-Again-Now-Good-Again" Beaver in order to "save" Muscular Beaver. 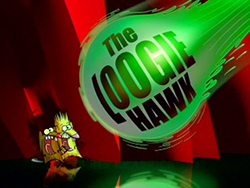 Fortunately for Norbert, when his guests (Treeflower, Barry, Bing, Truckie, and Stump) show up, they think it's a superhero-themed costume party, and become "The Justice Guys (And One Gal)" in order to help fight Toe-Bot. When a ridiculously old tree lands on the Beavers' house, Daggett and Norbert start fighting over who gets first bite. But when they do take bites out of it, they become little kid versions of themselves! With nothing else good to eat in the house, Lil' Dag and Lil' Norb decide to go after the fallen tree's golden acorn. 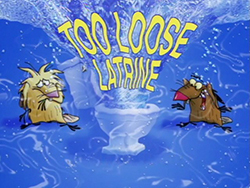 Daggett really needs to use the bathroom, though one of the bathrooms in the Dam isn’t working and Norbert is keeping the remaining bathroom occupied. 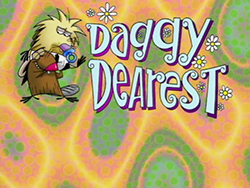 Daggett becomes upset because he doesn’t know what he is supposed to do, though he knows he needs to find a bathroom quickly. 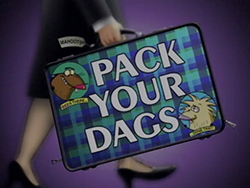 Norbert tells Daggett that they’re movie, much to Daggett’s dismay, so Daggett decides to try to convince Norb that moving isn’t for the best, though Norbert refuses to listen to him. 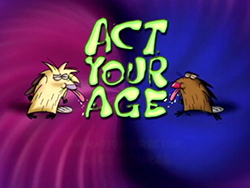 Will Daggett be able to convince Norbert that they shouldn’t move away, or is it too late? 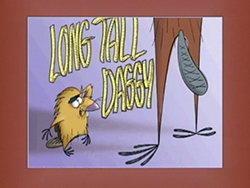 Daggett becomes the unwitting foster dad for a lost baby mongoose. 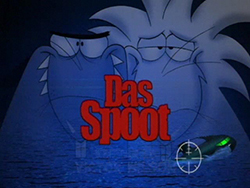 After a Russian spacecraft crashes into the dam and makes a huge hole, Daggett and Norbert argue over who will fix the dam and clean up the mess. 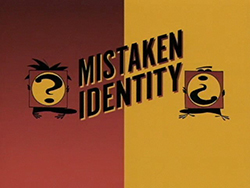 Norbert fails in his attempt to trick Daggett, so they assume each other's identity in a contest to see who can stand to be the other for the longest amount of time. 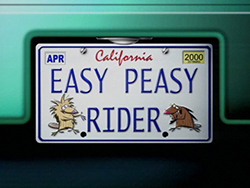 The Beavers are terrorised by a mean biker gang, but Dag thinks that being a biker is really cool. 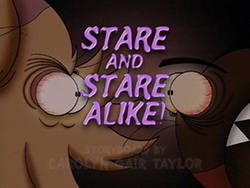 The two beavers have a staring contest that doesn't halt for anything... even the result of their long-awaited contest on TV. One of those weird scientists with the white coats is turned into a beaver and outmasters the two brothers with his new technological dam. 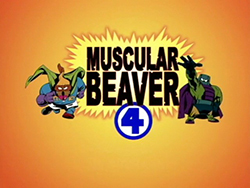 The Beavers become characters in a Mexican wrestling film, starring their wrestling hero, El Grapadura, presented in Spanish (with respected English sub-titles). The boys battle with a congested bird of prey who moves into the forest and bombards them with loogies. 41. 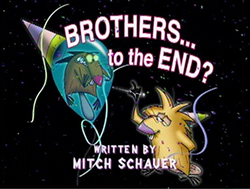 Season 3, Ep 15: Kreature Komforts / Oh, Brother? 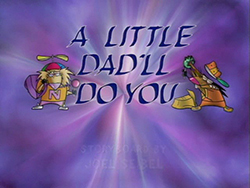 When Daggett and Norbert receive a visit from a photo-realistic cousin of theirs, his simplistic lifeconvinces the both of them to give up their personal possessions and "go wild". But can they handle it? 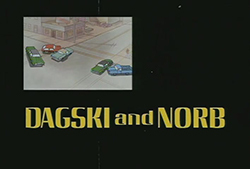 An old home movie confirms Norb's suspicions that Dagg isn't his real brother. 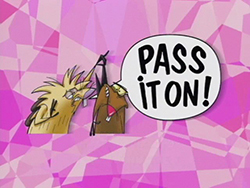 Soon, Norb is "reunited" with his brother Byron (who looks like a super-smart Norbert), while Dagg gets stuck with Byron's "brother" Randy (an incredibly stupid version of Daggett). But Norb grows tired of being the "dumb one" compared to Byron, and begins to wonder about the real meaning of brotherhood. The boys take a voyage to the bottom of the pond in their own Beaver-rigged submarine, the Norbalus. 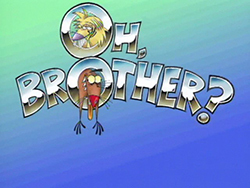 A family of freeloading otters moves in on the boys, turns their lives upside down and threatens to take over their dam. Norb, who's four minutes older, has always been just a wee bit taller than Dag (something he relishes). His world is turned upside down when Dag shows up for their weekly measuring and has grown to be a wee bit taller than him. The Beavers are two tough, street-smart detectives in a broad send-up of 70's cop shows. The boys' typical squabbling falls by the wayside for a day of brotherly togetherness. They get caught up in building a huge sand castle and the fantasy world that grows with it. 45. Season 3, Ep 19: Nice & Lonely / Soccer? I Hardly Knew Him! The Beavers' needy tree lizard buddy Bing turns his geekiness into celebrity when he writes a book about the joys of loneliness. Norb jumps on the 'Bing-wagon' while Dag still thinks he's just an annoying pest. 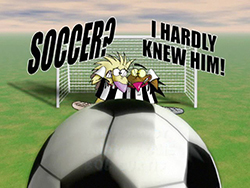 Much to Norb's annoyance, Dag takes his fascination with soccer too far eventually becoming a full-blown British soccer hooligan. 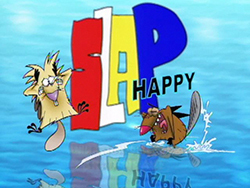 The Beavers have their own Y2K incident, when Dag's super sour punch shocks them into a brave, new fantasy world where the rules are theirs to create. True to their sibling rivalry, the boys soon make a mess of it. Norb decides to embrace his European roots and becomes a brooding, world-weary Euro beaver. Industrious American beaver that he is, Dag struggles against Norb's laziness until Norb challenges him to see who can out-Euro the other. Beaver fact: Beavers use tail slaps on water to warn others when danger threatens. Dag abuses this natural alarm, causing Norb to call in their dad to set things right. 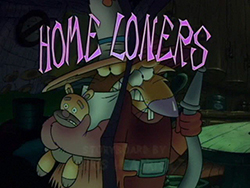 Daggett and Norbert are both unaware that the other is at home and go through a series of near-misses and close calls until they both think someone else is in the house. 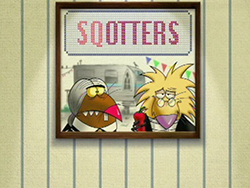 Daggett and Norbert get tired of having to live together in the same room, so they decide to make their own rooms. The construction process soon turns into a frantic show of one-upmanship, with each beaver brother trying to make his room bigger and fancier. 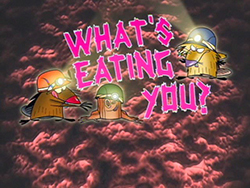 An episode of Mr. Bill Licking's nature show makes Daggett and Norbert suspect bears have a taste for beavers, and that their friend Barry Bear plans to eat them. When Barry comes over for a visit, the Beaver brothers frantically try to find Barry something to eat besides them. Dag winds up in the ultimate bad relationship, smitten by a fishing lure that gets stuck in his tail. Norb responds with tough love, trying to make Dag see that it's better to lose your tail than lose your heart to some fishing tackle that's got its hooks in you. Getting ready for a party, the boys start comically imitating all their friends who are coming over. They wind up having such a good time by themselves that they forget all about the party and their guests.